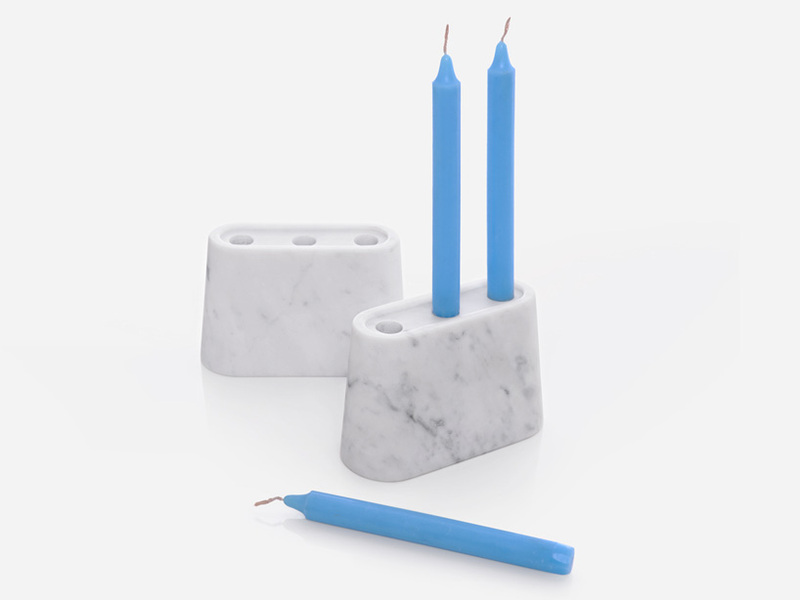 Zpstudiotools has shaped their ‘plug’ stand from a single block, resulting in a monolithic object that offers multiple uses. 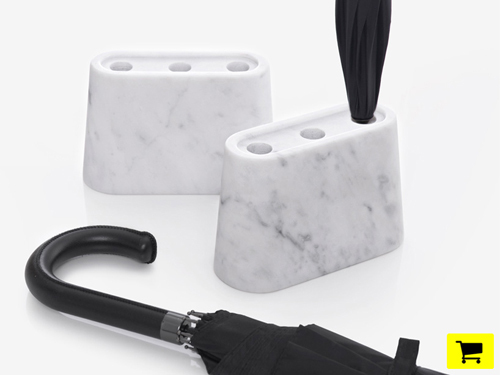 if placed on the floor, it acts as a stand that supports three umbrellas in their upright position; and alternatively, when placed on a table, it can function as a candle holder. 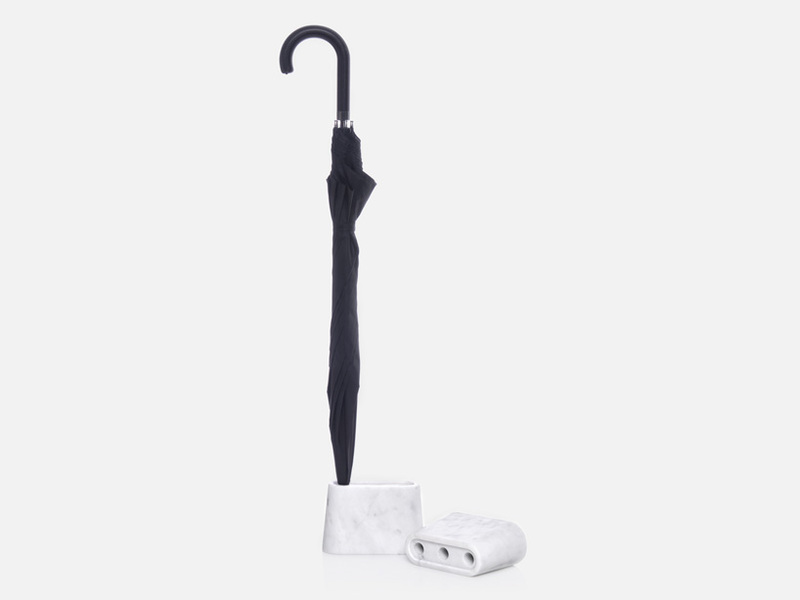 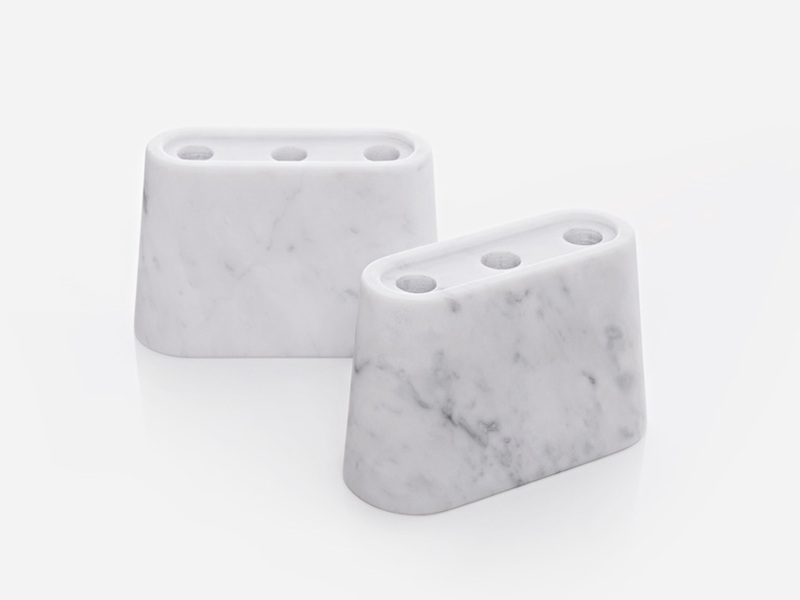 the ‘plug’ stand expresses the honest grace of marble and is produced by skilled craftsmen, sculpted through a CNC process, and carefully refined by hand.